There are many remarkable stories of all distances from this year’s campaign but here are the exceptional, long haul, efforts taking place. Walking from his office at KPMG in London back home, or as he puts it “Walking until I’m wounded”. Read more and see Laurence’s fundraising page. Mandy has been on an extraordinary journey to transform her life as she used to be 18 stone. UPDATE: after walking for 24 hours in horrible conditions, Mandy and friends called it a day and aim to revisit the walk in July. Read more and see Adam’s fundraising page. 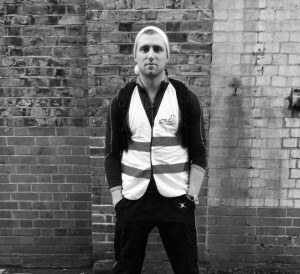 Andrew is starting from Hunstanton on 28 December and finishing in Cromer on 30 December. Read more and see Andrew’s fundaising page. 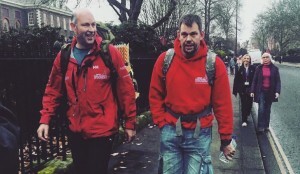 Inspired by his uncle who works for Walking With The Wounded, Simon is walking 72 miles home from work in Nottingham across the Pennines over 3 days to Bolton. Read more and see his fundraising page here. 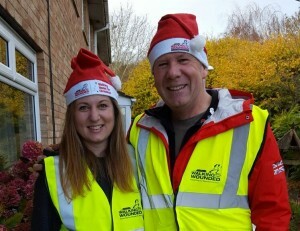 Tony, one of our employment advisors is walking 30 miles with his daughter from Salisbury to her home in Trowbridge. Read more and see their fundraising page. WWTW’s co-founder and CEO Ed Parker is walking with double leg amputee Duncan Slater back home to Norfolk from central London. The catch? No food, no money and sleeping rough in empathy with the veterans we are supporting. UPDATE: Their walk had to be abandoned after injury but gave some important perspectives on the campaign. 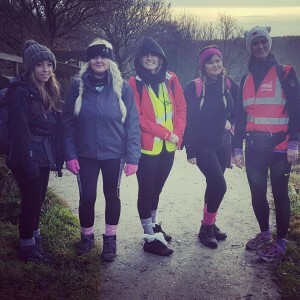 Last year Simon walked 27.6 miles more than £2,300 on his own so this year recruited a team of six to do 30 miles and amplify his fundraising efforts. Jock has an extraordinary history of supporting WWTW and Walking Home For Christmas, last year walking 360 miles from Coldstream to London with Harry Bucknall and this year undertaking a 24 hours walk home from Brixton Police Station. Read more about his efforts this year and see his fundraising page here. Walking from her parents home in Bo’ness, West Lothian to her home at Leuchars Station, Leuchars in Fife in one day. Read more and see her fundraising page here. A serving Captain in the Yorkshire Regiment is setting off on 15 December from Wiltshire and hoping to be home in time for Christmas in East Yorkshire. He’ll also be sleeping rough as part of his challenge. He’s done it on a bike, but never on foot, so the challenge is on to walk home from work to Taunton. For the last two years Jon has walked the 40 miles from his office in London to his home in Bishops Stortford for WWTW. To add a twist he does the whole walk along River and Canal banks and is back for more this year. Thank you! Should your efforts be on this list? If we’ve missed you or you know of someone who should be on here then please email whfc@wwtw.org.uk. Thank you to everybody taking part, however far you are walking. Challenges are relative but every pound raised counts. Not signed up? Interested? Find out more or sign up here.